Communication through social media is becoming increasingly sophisticated, with an accompanied growth in research on the strategies to increase online brand engagement behaviours. A bulk of this research focusses on consumer reviews as a determinant of hotel awareness, attitudes, and evaluation. Yet while social media use rises, the financial outcomes resulting from a brand’s presence on social media are underperforming. Social media spaces support interaction and nurture mutually beneficial relationships between brands and consumers, and online brand communities allow consumers to gauge public opinion regarding products and services of interest to consumers. Online brand communities are experiencing accelerated growth, with over 42 million fan (or ‘brand’) pages on Facebook. 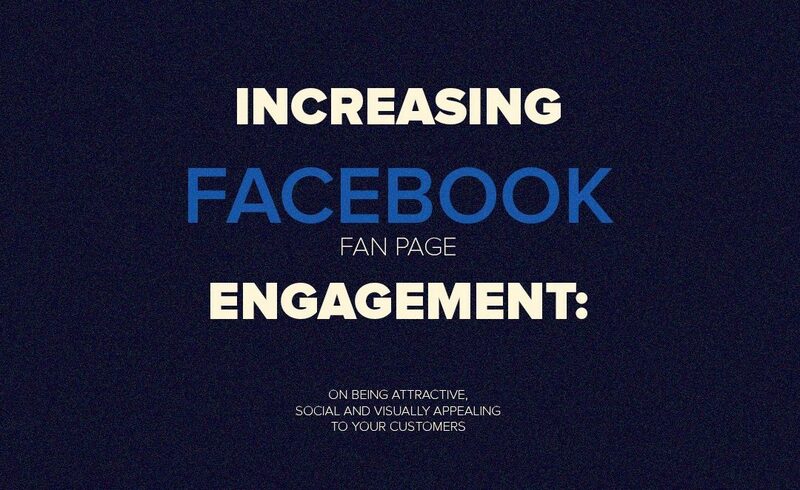 What else can managers do to increase fan page engagement? An unexplored avenue on consumer-brand interactions on social media is to focus on the responses that consumers get from brands when they are perceived to have human traits. Evidence suggests that people respond to inanimate objects as they would respond to other people if those objects possess human-like attributes. This is known as anthropomorphism. Anthropomorphism is the process of attributing mind, intentions, effortful thinking, emotional states, and behavioural features to non-human objects. Anthropomorphism has an impact on attitudes and beliefs towards the focal object, as well as the type of social interactions through which consumers engage with the anthropomorphised object. As part of the process of anthropomorphism, consumers see brands as capable of reasoning and intent, which in turns affects the type of consumer-brand interactions. In the context of e-retailing, some evidence supports the positive effect of social cues. For instance, the presence of avatars has been found to increase customer satisfaction, attitudes towards products as well as purchase intentions and trust in online retailers. Visual cues such as the perceived attractiveness of the avatar have been found to increase the effectiveness of that virtual sales agent for products with low and moderate involvement. The positive effects of social cues appear to also facilitate intentions to purchase and increase trust among older users, a segment often perceived as more reluctant to use digital environments to engage with a company. Research suggests that social media also generates a social response, as this is an environment that provides interpersonal and highly communicative interaction among consumers and also between consumers and the brand representatives behind social media platforms. Positive effects on brand loyalty and overall performance have been found among consumers that interact in these channels. A recent study suggests that three attributes on Facebook fan pages can also generate a social response (engagement) from users: visual appearance, identity attractiveness and social interactive value. Visual appearance relates to the layout, images, look and feel of a website. Customers consider this a good indicator of performance, which may increase satisfaction during online transactions. A well-designed website may increase consumer confidence and trust, thereby reducing consumer perceptions of risk, making the brand interaction experience more enjoyable. From the aesthetic-interaction perspective, visual appearance works towards the increase of human-computer interaction, by taking into account that computer-human interactions are driven by both functional and design elements. Visual appearance is identified as one of the success factors to a positive return on investment of websites. In the case of social media, and in particular Facebook fan pages, there are several restrictions that exist in terms of visual appearance, as the layout of a fan page is set by the platform owner. However, taking into consideration the aesthetic elements of the fan page can indeed produce a positive response from its users. Identity attractiveness refers to the degree to which individuals are attracted to, show a preference for, and support relationships with a focal object (e.g., a brand), giving it enduring attributes. Consumers are likely to be attracted to a brand that is similar to the consumer’s identity, if the brand is perceived as distinctive in traits that are valued by the consumer, or if the brand is perceived as prestigious. The degree of identity attractiveness of a brand is derived from identity communications such as advertising, branding efforts, product offerings, media and other customers. Similar to human-to-human interactions, elements of brand identity include a combination of the core values and demographics that the brand portrays. Identity attractiveness can lead to both brand identification and interactions. Social media offers a means for interactions between users and brands, and an increased identity attractiveness in social media channels will intensify the aesthetic and social cues of the fan page. This proposition is supported by research conducted in human-to-human interaction, where the level of attractiveness modulates the intensity of the perceived physical and emotional traits of the attractive versus the unattractive subject. Social interaction value in the marketing context means a positive experience through interaction with others such as family, friends, other customers, salespeople and, in the case of Facebook fan pages, the brand itself. Research finds that this desire for social experience motivates shopping behaviour and the perceived value of the focal outlet. Social interaction may also be a motivation to engage in online environments, as it allows consumers to interact with one another, yet is distinct from offline interaction, as it allows for communication between the brand/merchant and the consumer, making the interaction more engaging and enjoyable. Perez-Vega, R., Taheri, B., Farrington, T., & O’Gorman, K. (2018). On being attractive, social and visually appealing in social media: The effects of anthropomorphic tourism brands on Facebook fan pages. Tourism Management, 66, 339-347.